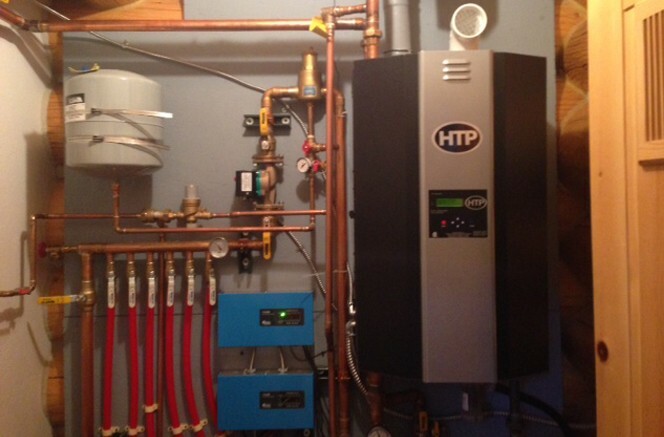 How important is the proper design and installation of a radiant heating system? It’s paramount! These first steps, as with any project, are critical to achieving the level of performance and results people desire from a radiant heating system. Chuck and Lindy Cichowitz, of Buena Vista, CO, learned this first-hand when they built their house with an under-floor radiant heating system, which under-performed and hiked up energy bills for almost 18 years, before they decided to make a change of a lifetime. 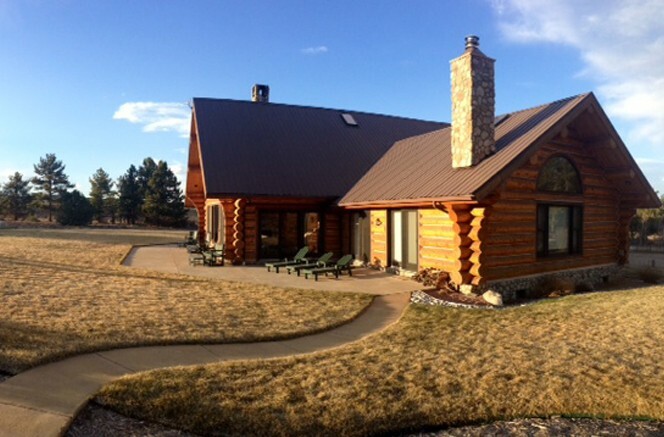 In 1995, the Cichowitz’s built a new log home in the town where they were raising a family with three children and running a successful rafting and outdoor adventure company called Noah’s Ark Whitewater Rafting Co, on the Arkansas River; revered as one of the best whitewater destinations in the world. 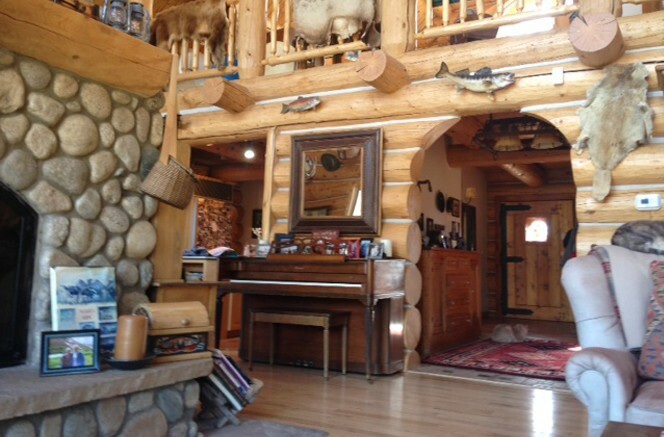 Their custom log home was constructed with whole trees, providing nearly 3,000 square feet of livable space, powered by propane, along with a detached garage with an apartment above it. The house was built on a crawl space with hardwood, tile, and carpet floor coverings. 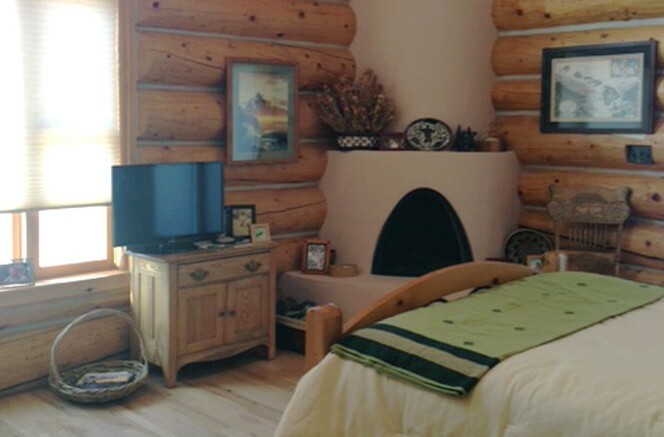 The interior walls are made of the logs offering no wall space to place duct work and air vents, so they decided to use under-floor hydronic radiant heating for their primary space heating, installed with the staple up method. “It wasn’t a commonly used product at the time,” Chuck shared. For over a decade, they lived with high energy bills, cold rooms, frozen pipes, and all around less-than-desirable heating results throughout the cold Colorado winters. Chuck said the heating efficiency of their original radiant heating system was as low as 30%, driving their monthly energy bills in the winter as high as $400-$500 a month, with a record-high of $800 in one month. “It was not very efficient,” he admits. “The places furthest from the boiler never really heated up,” Chuck said, “and the boiler was always running at 100% demand.” He recalled one harsh winter when the pipes froze in the room at the farthest end of the house, which also has a northern exposure. And even with the high demand calling on the boiler, he said some rooms in the house never really warm up to their desired temperature. In 2014, they contact Infloor Heating Systems about replacing the boiler. “We nursed the boiler though two winters,” Chuck said, “and we didn’t want to take that chance again. We can have really cold weather here, so I called them looking to replace the boiler.” After a conversation with Infloor President Michael Willburn, it became apparent that they needed much more than a boiler to improve the system’s performance, and the level of comfort and energy savings expected from radiant heating. Under-floor radiant heating presents its own set of challenges, and has specific requirements in order to be effective. First and foremost, is its placement under the floor. The heat has to travel through the wood subfloor and the floor covering in order to warm the surface and space above. This requires special consideration for tube placement, length, and spacing, insulation, water temperature, supply and return line placement, additional heat transfer options, and more. The Mistakes: What Went Wrong? The tubing was stapled directly to the subflooring with no heat transfer materials. The loop lengths were running a massive 600 feet long, with too few of them, which was resulting in 50-70 degree temperature drop in the water flowing through the system as it flowed away from the boiler. Long loop lengths also creates more resistant in the pumps, which increases the head pressure and reduces the water flow through the system, also leading to temperature loss. The tube spacing was inconsistent, and varied at different parts of the house. Some tubing was spaced 8″OC, while other places were spaced at 12″OC. The house was divided into five zones. Chuck said the most northern three zones controlling the kid’s bedrooms never brought the rooms to the set temperature during the coldest months. The house temperature was controlled by one Outdoor/Indoor Reset control, supplying only one temperature to the entire house, based on the temperature outside. The heating system pumps were undersized and the insulation was rated too low. Some of the rooms have carpeting with padding, which never reached the comfort level the family hoped for. All of these variables led the family to incur high energy bills and experience a low level of comfort and satisfaction with their radiant heating system. But as they learned though working with Infloor Heating Systems, it’s not the radiant heating system at fault, it is the improper installation of it. “It’s easy to under-design a radiant heating system,” Chuck said. The Solution: How Did Infloor Correct It? 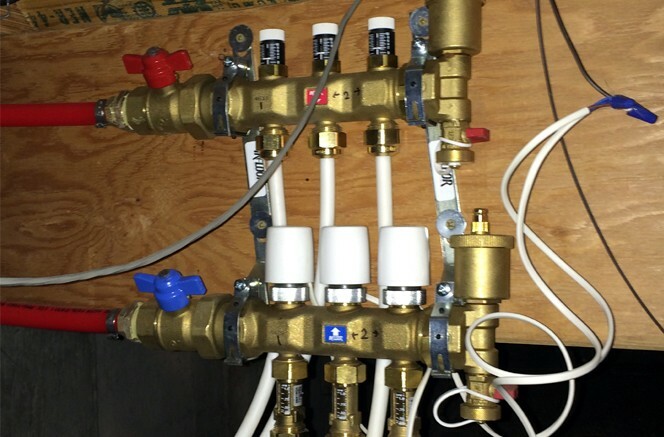 A completely new under-floor radiant heating system was designed by Infloor Heating Systems and installed by Plumbing Plus. The entire old system was removed, including all the tubing, supply/return lines, insulation, controls, and heat sources. New 3/8″ PEX tubing was installed throughout the house using Infloor’s Radiant Trak installation method, designed specifically for under-floor radiant heating. 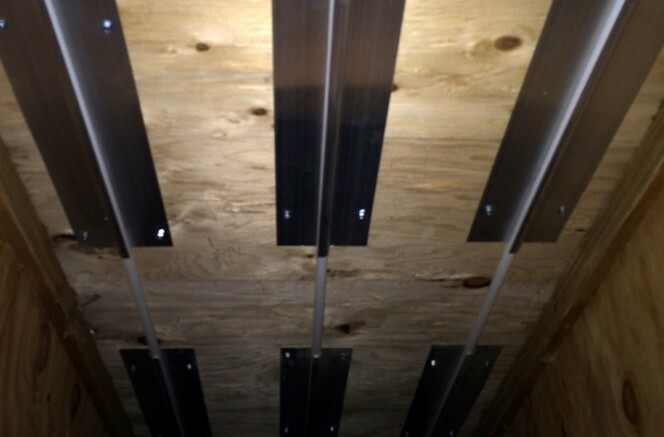 Radiant Trak plates are installed between the joist spaces on the underside of the subfloor, and are made of high-quality extruded aluminum, which provides a heat transfer between the plates and the subfloor, warming the entire plate and floor. The tubing was laid out in uniform with 180 to 200 foot loop lengths, reducing the temperature drop to 20-30 degrees. Infloor strives to maintain a rate of 15-20 degree drops by using shorter loop lengths, tighter spacing, and smaller heating system pumps, which also use less electrical energy. The tubing was spaced 8″OC for both wings of the house where the joists spacing is at 24″OC. One section of the house has joist spacing of 12″OC, therefore the tube spacing was reduced to 6″OC to accommodate the smaller space. 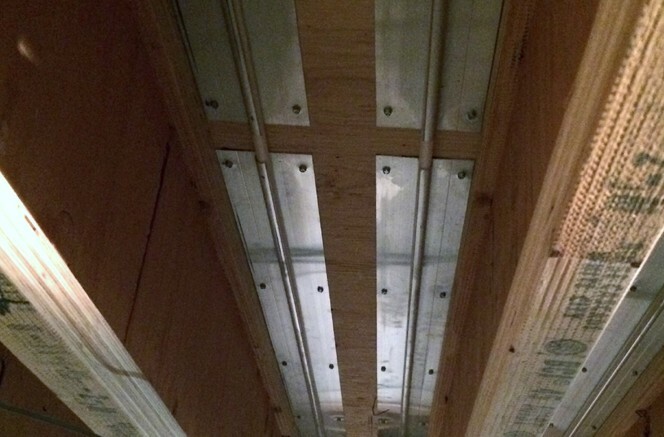 Typically Infloor recommends placing the Radiant Tracks at 8″OC, but because there were two different joist spacing’s, they made them different for the best heat transfer results. Four extra zones were added, giving them a total of nine zones. Each zone is controlled by its own ecobee Si wi-fi thermostat, giving the family more control over their heating and access to the system from anywhere in the world with a wi-fi connection. The old boiler was replaced with a HTP EFT-199 high efficiency modulating condensing boiler, and the heating system pumps were replaced with smaller ones, which use less electricity. All the insulation was replaced with foil-back and Batt insulation to obtain an R-30 value, up from the previous R-19, creating a much more energy efficient home. “This was not a small undertaking,” Michael shared. Replacing the improperly installed radiant heating system was a huge project, that was costly and time consuming, but the outcome proved to be worth it in the end. “Redoing the radiant heating system was harder than initially installing it,” Chuck identified. “We put a lot of time in on it, but it also allowed us to evaluate where the plumbing was most vulnerable, which was addressed in the new system, and do some cool things such as add more zones, and wi-fi capabilities and access,” he said. “The integration of radiant heating with technology provides high satisfaction and accessibility. It’s a fabulous opportunity for people to integrate technology into their home and have more control over how they heat it. With the wi-fi thermostats, I can check my home’s temperature on my phone, and I receive notifications when there are temperature changes in the house, which has been very beneficial,” Chuck shared. And once again, the proof is in the numbers. Following the proper installation of their Infloor Radiant Trak under-floor radiant heating system, their monthly energy bills dropped by 50%, with some months being higher. Their energy bills now run an average of $200 – $300 a month, resulting in significant annual savings and is helping the environment by reducing fuel consumption and electricity use. Chuck said they are very happy with their new radiant heating system, and the experience of working with Infloor and Michael. “I’ve known the [Willburn] family for years, and Infloor has a long-standing relationship with the valley,” he said. “Michael is very knowledgeable about high-efficiency heating systems and their options. He’s very good at explaining things and acting as a consultant, which in turn empowered me to make the best decisions possible,” he said. “Michael came into the process very actively,” Chuck continued. “He personally stepped in and oversaw the correct installation of the new system. He made numerous visits to the house and acted more as a co-contractor with me to make sure everything was done right, which is not typical,” he said. “I can still call Michael at any time, with questions or for help, which is great. I am extremely pleased with the outcome of this project, and I hope I never have to do it again,” he said with a laugh. Chuck and Lindy Cichowitz continue to own and operate Noah’s Ark Whitewater Rafting Co. in Buena Vista, CO. “We started the business after college, and thought we’d do it for a few years. Here we are all these years later still going strong,” he said. “We are beginning to get second generation visitors and staff. People are bringing their children out and talking about their memories of trips here from twenty years earlier. It’s been a wonderful journey.” he concluded. 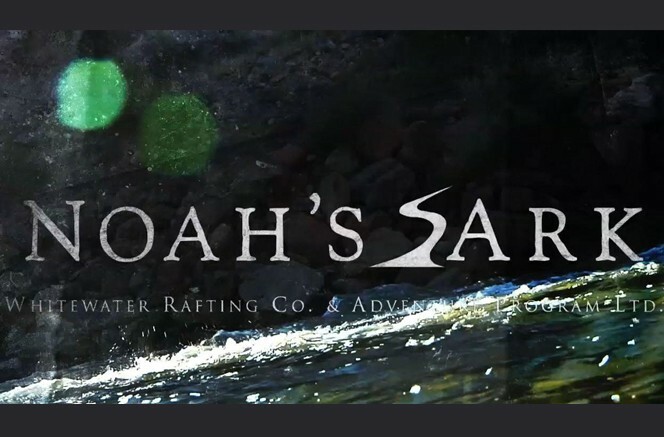 Noah’s Ark Whitewater Rafting Co. is an industry leader with 33 years of experience, and is one of the top two outfitters on the Arkansas River. They are nationally recognized for providing extraordinary recreation and educational opportunities for families and youth from all over the world, serving over 20,000 people a year. Noah’s Ark provides world-class adventures for whitewater rafting, backpacking, and rock climbing.